At Studio 141 I am the associate art director of Professionally Speaking magazine, and it’s French version Pour parler profession. 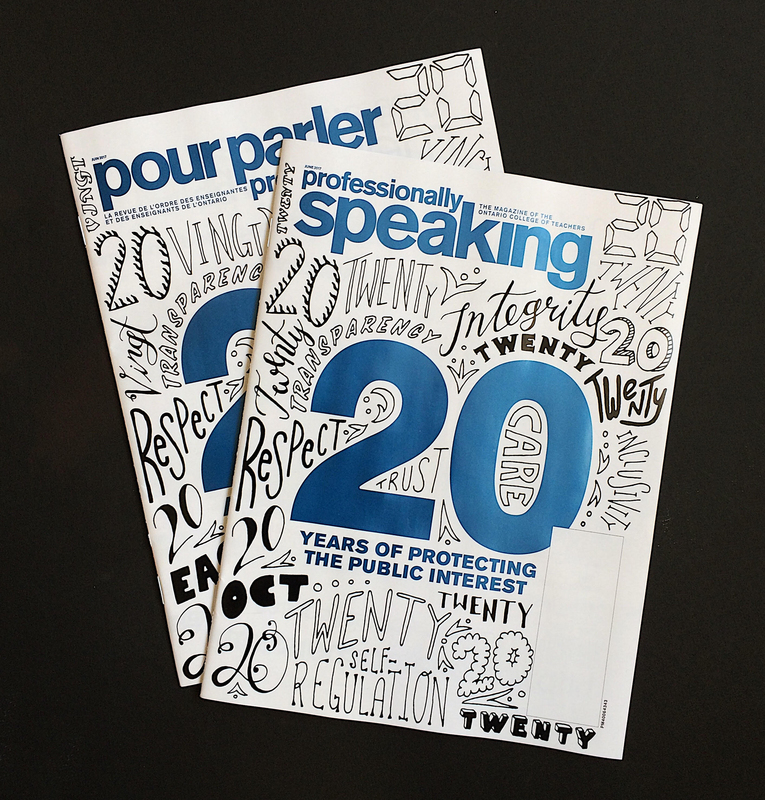 Their June 2017 issue celebrated the College’s 20 year anniversary and we wanted to do something fun with the cover so I designed and hand-illustrated a collection of ’20’s and College mandate words. I executed this in both languages.